(iii) Professional and Vocational courses. The first area is represented by the departments of Ancient Indian History, Culture & Archaeology, History of Art, and Philosophy & Indian Religion. These have since long been recognized as national centres for research and scholarship in their respective fields with a distinguished faculty of international repute. Under the second area of studies comes a large number of Indian and foreign language departments, that did distinctive contributions in research such as Hindi, Sanskrit and English. Not lagging far behind are such departments as Pali and Buddhist Studies, Bengali, Urdu, Telugu, etc, which are carrying out important research works besides teaching. Realizing the significance of foreign languages, departments of both Asian and European languages were established long back which impart training in more than 11 languages at various levels under the departments of Foreign Languages, French Studies, German Studies, Arabic and Persian. Known for their excellent academic output, these language departments have created a niche for themselves far and wide. This places Banaras Hindu University among the select few in India with excellent facilities for teaching and research in a large number of languages catering to the needs of national integrity and globalization. The dynamism of the Faculty is revealed in its ability to keep itself growing with the times by opening new departments suited to the contemporary needs of society. This forms the part of its third area of focus which includes the professional courses like Physical Education, Library and Information Science, and Journalism and Mass Communication, and the most recently developed Vocational Courses like Tourism & Travel Management, Archaeology and Museology, Functional Hindi and Functional English. 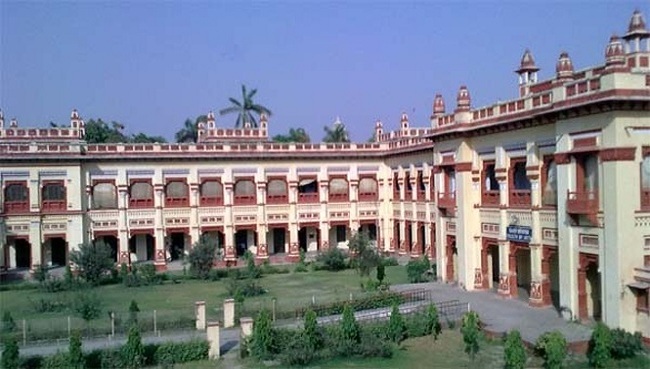 It would be no exaggeration to say that the Faculty of Arts has continued to play a crucial role in building up the unique position of the Banaras Hindu University in India and abroad. This is well reflected in the brief indicative list of its luminous alumni and faculty that includes the former President of India Prof. S. Radhakrishnan, (Philosophy) as well as Padma awardees like B.L.Athreya and T.R.V.Murthy (Philosophy), Hazari Prasad Dwivedi (Hindi), Baldeva Upadhyaya (Sanskrit), Dr. Kapila Vatsyayan (History of Art), A.K.Banerji (Journalism and Mass Communication), S.R.Ranganathan and P.N. Kaula (Library & Information Science), besides such celebrities Ramchandra Shukla, Shyam Sundar Das, Shiv Prasad Singh (Hindi), Rewa Prasad Dwivedi, Srinivas Rath, Pt. Ram Avatar Sharma (Sanskrit), A.S. Altekar, Raj Bali Pandey, R.C. Majumdar and A.K. Narain (A.I.H.C. & Arch.) among others.